Well we finally got our butts into gear and organised or ‘Save the Dates’ for the wedding. As you could probably tell by my instagram page we are a soccer family. I personally, growing up never had heard of soccer. I was raised around Footbal (AFL/VFL), Cricket and Rugby. So obviously after meeting my fiancé who’s South American, I learned what that round ball sport was all about. Really what a bore, I couldn’t understand why it took so long just to score a goal….then time went on and now I love it. I’d even say I prefer it over AFL…(Can’t believe I just admitted that). 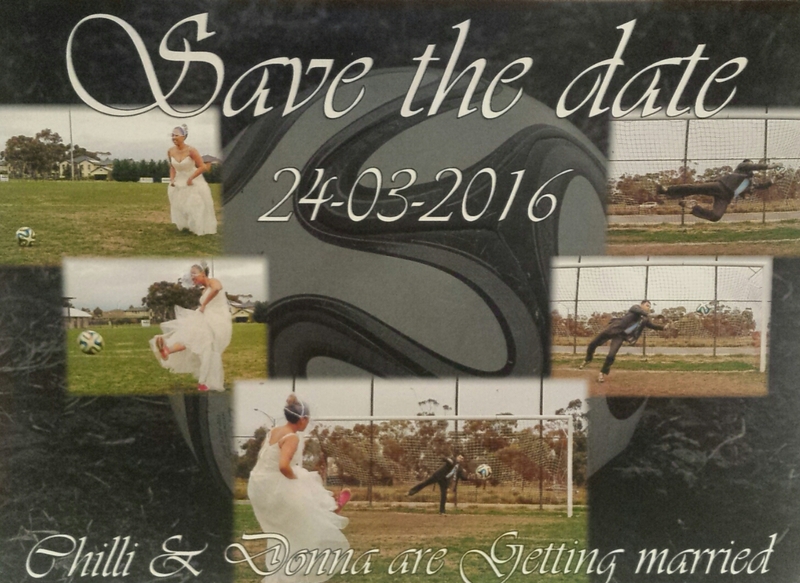 So what perfect way to incorporate soccer into our Save The date cards. I’ve seen a few Interest pictures that gave us the idea. Hopefully I’ll get around to posting some soon.